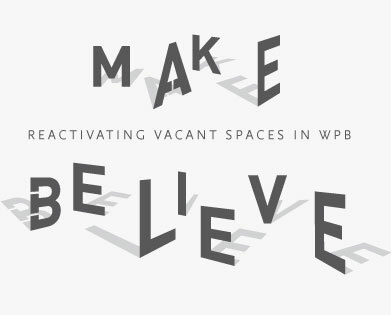 Last night was the opening, or unveiling, of WPBMakeBelieve, which is a project that asked artists to envision commerce of Wicker Park Bucktown as it would be in the future. All of the work is accessible 24 hours a day because they are housed in storefront spaces and lots that are currently vacant. The selection process was extensive, and now there are only 10 artists or art groups left. 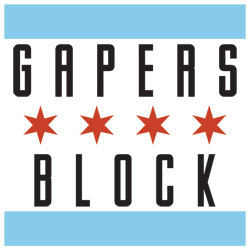 These 10 finalists have built there installations within spaces in a two block stretch near the Milwaukee and Ashland intersection. The WPBMakeBelieve project encourages interaction both in person, and on the internet. If you take a picture at an installation you can post it on their Facebook wall, but that's not the only way you can interact. The Chicago Robot Theater ask you to activate their robot play by placing your hand on the window, while Steph Yiu and Jared Novack are placing cameras within shops around Wicker Park Bucktown. 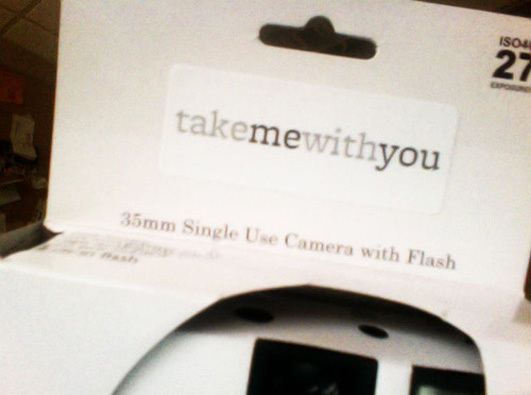 These cameras are part of their "Take Me With You" project. 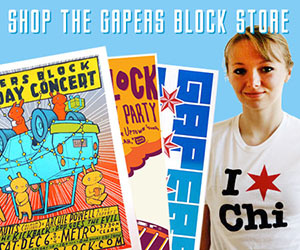 Yiu and Novack are asking people, who already interact with the neighborhood, to tell them a story; those images will then fill the storefront and a website, showing us all the different stories of Wicker Park Bucktown. WPBMakeBelive is filled with surprises, and the greatest thing is that you can do it late. With the oppressive heat we have been having you can take a walk in the cool night air, enjoy some sculpture, some robotics, some art and animation, then maybe then treat your beloved to an Oberweis cone while you talk art, and the future of Wicker Park Bucktown.